Flip Out Mama: Hot Gift! 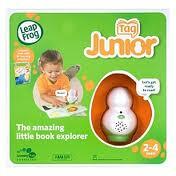 Leapfrog Tag Junior Reading System! 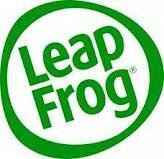 Today guys, I am really excited to tell you guys about the Leapfrog Tag Junior Reading System. Not only because it is a great educational toy, which it is, but because ever since I started as a blogger I always wanted to get the chance to work with Leapfrog!So, not only is this an exciting review because of the awesome toy we got to review, but it was great for me to reach a personal goal of my own in working with this wonderful company! 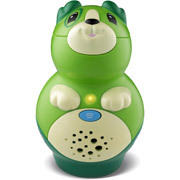 We became very familiar with Leapfrog products when Tater was a preschooler. His Leapster and Leapster 2 were among some of his very favorite toys, and as the mommy, I was thoroughly impressed with the quality of them. Now it is the Bean's turn to get into the Leap Frog fun! 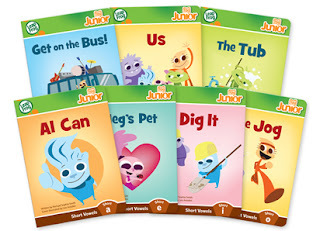 The Tag Junior Reading System is designed especially for little ones ages 1-4. I was truly surprised that it was geared towards babies as young as Bean. At 18 months, he is really into board books, but I wasn't so sure that this toy would hold his interest the way I wanted it to. 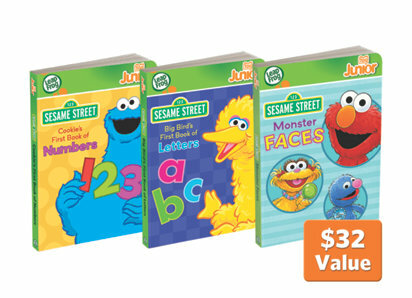 The starter kit comes with one Tag Junior book pal, a USB cable, and a sample board book. This is a great way to get the feel for the Tag Junior and to see if it is a good fit for your child. The Tag Junior requires 2 AAA batteries also. We received the Scout book pal, and he is super cute! Now, this toy is really easy to use, which was something I was a little worried about. You can download the audio for the books easily to the Book Pal, so he is ready to go. Then you and your child can use the Book Pal to "read" the books.The Book Pal tells the story, and allows your child to explore the pictures, words, everything on the page! The Tag Junior really does "bring books to life", and helps teach all kinds of things, from letters, to numbers, shapes, rhyming words, colors, matching, etc. Not to mention reading comprehension skills and simple things like how to hold a book! We also received the Ready To Read Book Set with our Tag Junior. This is a great set of seven additional books that you can use with your Book Pal! The stories in the books are cute, and short enough that Beanie doesn't get bored! They teach vowel sounds, all while engaging your child in a fun story. I have been really impressed with the Tag Junior in the short time that we have had it. Bean is not a careful guy in the least, but this toy has really held up and hasn't shown any signs of weakness. We have only been using it a short time, but I can tell that this is a really durable toy that will last us a long time! Bean's favorite part is that the Tag Junior knows his name! My favorite part is that he is really showing an increased interest in books and has actually brought this toy to us on several occasions. That is something he has never done with regular books. He would only play with them when we brought them out. I can already see his love for reading growing since introducing him to this toy. That in and of itself makes this toy well worth the $34.99 MSRP. Yes, folks that is ELMO! (IF you are not following along, Bean has a real, full blown OBSESSION with the furry red guy! He carries three Elmo dolls around all day every day, cried hysterically when we left Elmo when Sesame Street Live was over, and is getting almost every Elmo toy imaginable for Christmas!) If he didn't love the Tag Junior already, he sure will now!!! And if your little one's obsession isn't red and furry, you can also get additional board books with Toy Story characters, Cars characters, Winnie The Pooh and Nickelodeon Characters like Dora and Backyardigans! Whatever your child's "Thing" is, you can get them books that cater to their likes! I love that! We have really enjoyed getting started with the Tag Junior Reading System and I know it will provide many many hours of fun for my little guy! Now, I am going to have to get a regular Tag Reader for Tater, because for once, he says the baby has a cooler toy than him! Now that doesn't happen often! 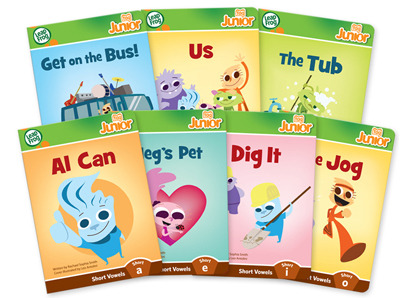 If you are interested in the Tag Junior reading system, find out all about it here! disclosure: we received a sample product in order to conduct this review. Although a sample product was received, all opinions are my own, and no monetary compensation was received.